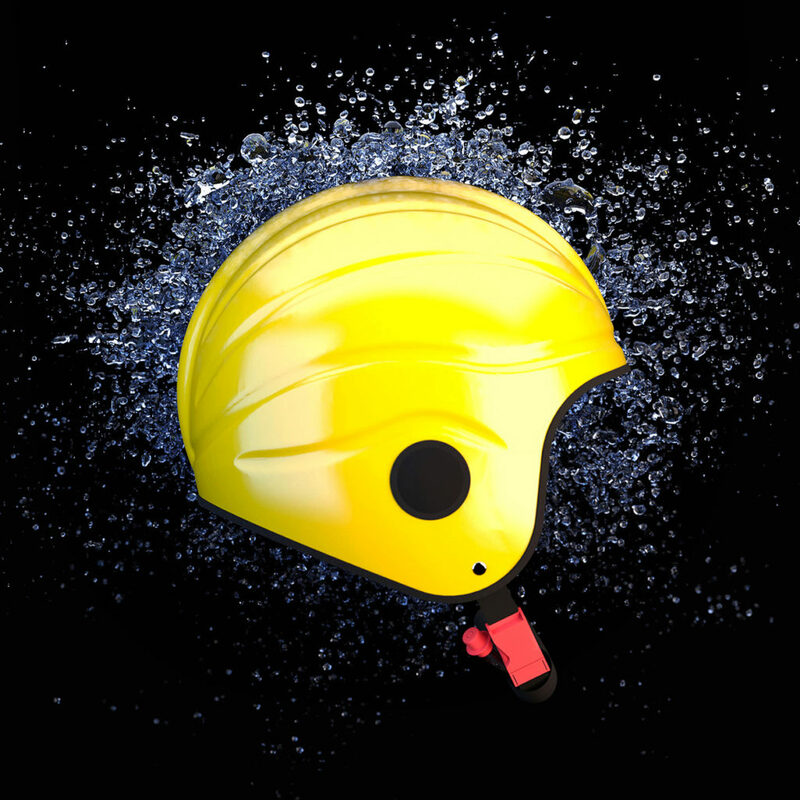 Gecko Head Gear first developed the open face marine safety helmet for the RNLI to fill a gap in the market for a lightweight, high-performance helmet that is suitable for use in marine environments. For twenty years the RNLI have continued to use this helmet and have helped to refine the design. Today, the Gecko open face helmet is used by numerous organisations worldwide including the Royal Air Force, Police and MOD. It meets BSI marine safety helmet standard PAS 028:2002. Designed from the water up, the Open Face has been completely designed to work perfectly in a marine environment using 25 years of feedback from users. 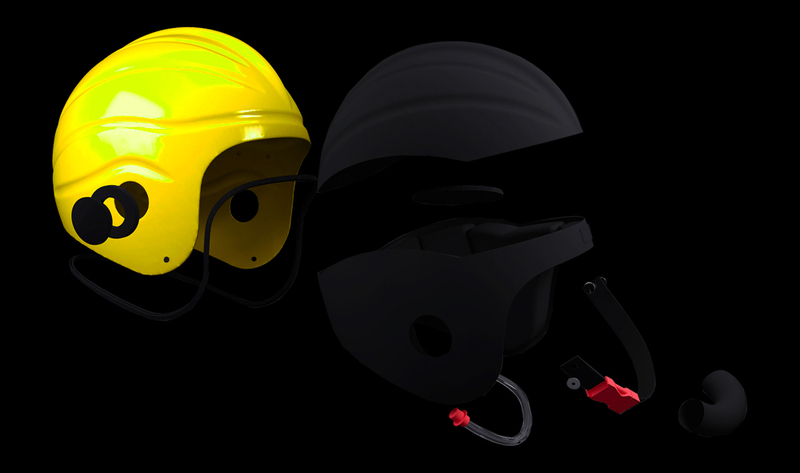 The open face marine safety helmet is compatible with a variety of accessories including visors, goggles and comms. The helmet has two side inserts that take grips to hold equipment such as a camera or flashlight. 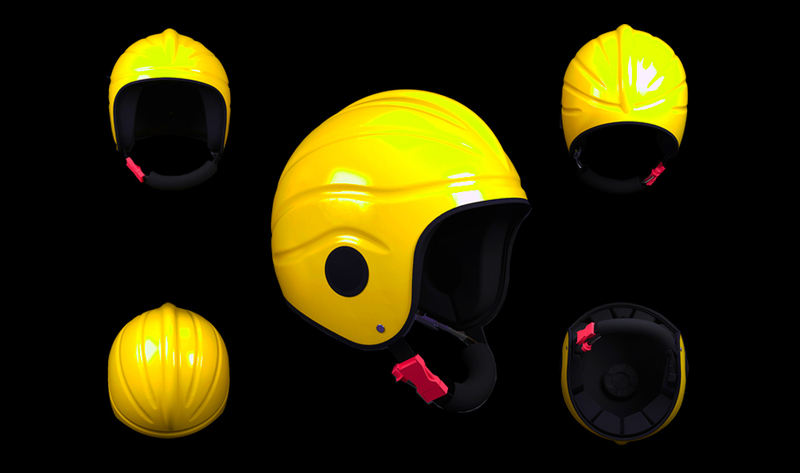 Please note that ear defenders cannot be worn with this helmet, so please see our cut away model if this is one of your requirements. The helmet offers full peripheral vision with its wide open face design. The grooves along the helmet are designed to increase the strength to weight ratio of the ABS shell. It also allows water to run off the back of the helmet to keep vision clear.